Originated in Finland as the HAI/HAJ(Shark in English) though some were exported to France and other countries. From a number of different builders though Finnish one-design rules prohibit boats built with anything other than the originally specified materials (incl. wood spars and hull). Known as the REQUIN in France, where fiberglass hulls and aluminum spars are permitted. 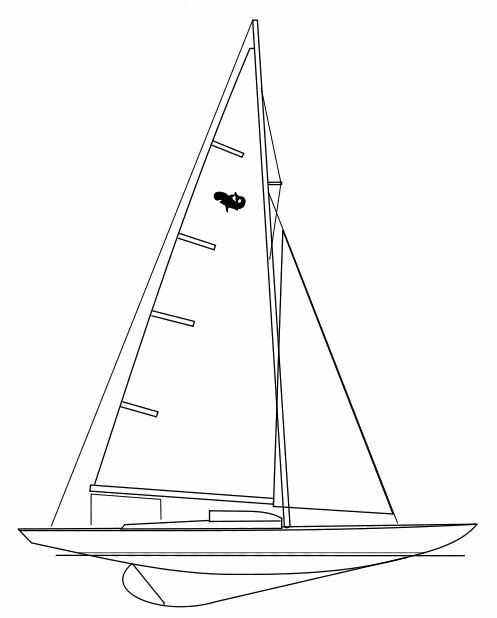 The REQUIN also has more sail area.